For the first time, the Russian law has recognised a separate category of ‘connected persons’ and the fact that someone exposed to violence at home is in need of enhanced protection compared to someone assaulted by a stranger. In July 2016, Article 116 of Russia’s Criminal Code was partially liberalised1Rossiiskaya Gazeta, Federal Law of 3 July 2016, No. 323-FZ on amendments to the Criminal Code of the Russian Federation and the Criminal Procedure Code of the Russian Federation concerning the grounds and procedure of exemption from criminal liability, 8 July 2016, available at: https://rg.ru/2016/07/08/uk323-dok.html http://asozd2.duma.gov.ru/main.nsf/(Spravka)?OpenAgent&RN=953398-6: beating someone is now considered criminal offence only if the assailant is a ‘connected person’, which includes those sharing a household with the victim, as well as the victim’s family members. There are three main approaches to domestic violence legislation in Russia: that it is necessary, that it is redundant and that it is harmful because the state should not interfere with famalz affairs. While proponents of separate legislation on domestic violence criticise the wording of the new provision, they welcome the change from private to private-public prosecution of the offence, meaning that the victim no longer needs to initiate the proceedings and collect evidence, but only needs to report the beating, and then the criminal investigators shall have to do the rest of the work. In contrast, opponents of separate legislation on domestic violence, who argue for decriminalisation of beating someone, are unhappy with the introduction of the ‘connected persons’ category. Thus, the Russian Orthodox Church’s Patriarchal Commission for Family Affairs and Protection of Motherhood and Childhood reacted with “deep concern” to the Criminal Code amendments, interpreting them as a prohibition of “moderate and reasonable use of physical punishment in child rearing2RIA Novosti, “Members of the Russian Orthodox Church are concerned that the Criminal Code amendments may outlaw hitting children, even reasonably,” 4 July 2016, https://ria.ru/religion/20160704/1458343916.html.” Elena Mizulina, former Chair of the State Duma Committee on Family, Women and Children and now a senator, has proposed a draft law3The State Duma’s automated lawmaking support system, Draft Law No. 1137251-6 on Amendments to Article 116 of the Criminal Code of the Russian Federation and Article 1(4) of the Federal Law of July 3, 2016 No. 323-FZ on Amendments to the Criminal Code of the Russian Federation and the Criminal procedure Code of the Russian Federation Concerning the Grounds and Procedure of Exemption from Criminal Liability,” 27 July 2016, http://asozd2.duma.gov.ru/main.nsf/%28SpravkaNew%29?OpenAgent&RN=1137251-6&02 to decriminalise beating by family members. For the most part, Mizulina repeats the Russian Orthodox Church’s arguments4RIA Novosti, “In the State Duma, Mizulina tables amendments on penalties for beating family members,” 27 July 2016, https://ria.ru/society/20160727/1472950049.html that the new provision may criminalise parents who spank their children or it may allow child abuse allegations to be used as a weapon in marital conflict. In addition to this, the senator finds it unfair that members of the victim’s family may be punished more than strangers for the same offence, which she perceives as the law’s ‘anti-family bias’. Another draft law relevant to domestic violence and pending since the previous Duma concerns ‘domestic debauchery'5The State Duma automated lawmaking support system, Draft Law No. 1018744-6 on Amending the Russian Code of Administrative Offences (concerning administrative liability for domestic debauchery), 16 March 2016, http://asozd2.duma.gov.ru/main.nsf/(Spravka)?OpenAgent&RN=1018744- 6, i.e. aggressive yet non-violent conduct between family members, punishable by a fine or forced labour. The idea is to prevent violence before it occurs6RIA Novosti, “State Duma MP tables draft law on domestic violence,” 27 July 2016, https://ria.ru/society/20160727/1472984865.html. “To date, there is no effective protection available for victims. A response can only occur after the event: once he has beaten you, he will be punished. Even where we can see that beating is about to occur, there is nothing we can do [to prevent it],” according to human rights activist and lawyer7Maria Davtyan’s interview Maria Davtyan, who was instrumental in designing the federal law on domestic violence prevention (the working group was set up in 2012; the draft is now being finalised based on comments from government agencies). According to Davtyan, a restraining order could offer the most effective protection from domestic violence by forcing the abuser to stay away. “Restraining orders have been proven effective in a variety of countries with different cultures and traditions. 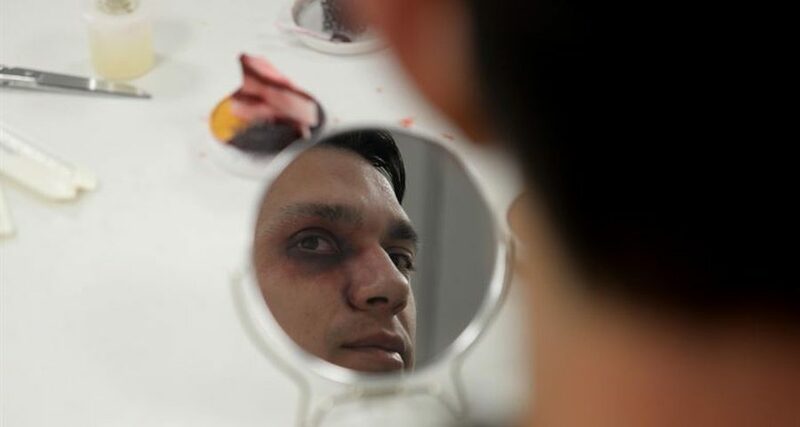 Once [restraining orders] were introduced there, the rates of violence decreased.” As for monetary fines proposed in the draft law on debauchery, even the draft’s authors admit8RIA Novosti, “State Duma MP tables draft law on domestic violence,” 27 July 2016, https://ria.ru/society/20160727/1472984865.html that this measure may have the undesirable effect of worsening the family’s financial situation. While supporters and opponents of a separate law on domestic violence continue to fight over certain articles of the Criminal Code, the lack of both a separate law and a legal definition of ‘domestic violence’ have prevented the collection of statistics on victims. 105,990 (62.6%) women were affected by violence in the home. The Ministry of Interior statistics only capture reported criminal offences, but ignore psychological and economic abuse as well as unreported incidents. Nor do they capture some of the abusive practices specific to the Russian Caucasus, such as female genital mutilation12Antonova, Sirazhudinova, “Genital Mutilation of Young Girls: Findings from Qualitative Research in Dagestan” (Антонова Ю. А., Сиражудинова С. В., «Производство калечащих операций на половых органах у девочек. Отчет по результатам качественного исследования в Республике Дагестан»), SRJI, Moscow, 2016 http://www.srji.org/resources/search/proizvodstvo-kalechashchikh-operatsiy-na-polovykh-organakh-u-devochek-v-respublike-dagestan/?sphrase_id=277725, bride kidnapping and honour killings (which get investigated only if the relatives report a disappearance). In her report, Antonova mentions that since the early 90s, workers of NGOs and then government agencies have been saying that around 14,000 women in Russia die each year at the hands of spouses or partners. According to the expert, this number has not been verified for decades, which means that no one has been really monitoring the situation. Making better laws in only part of the solution. It is at least as important to set up and support a network of crisis centres and dedicated shelters freely accessible to domestic violence victims. Currently in Russia, there are 19 state-run crisis centres, more than 120 crisis units and 23 social hostels for women. By Antonova’s estimates, they provide a total of some 1,620 places for nearly 77 million Russian women, which one-fifth of the Council of Europe standard of one place per 10,000 women. In addition to state-run centres, women can access help from NGOs and find refuge in shelters for mothers with children and pregnant women run by the Russian Orthodox Church parishes. “It is a good thing that there are more state-run centres now. However, non-governmental, non-profit organisations which are autonomous from the state tend to offer better services: there are fewer barriers to access, they do not require a lot of paperwork or proof of permanent residence,” Davtyan explains. According to Antonova, objective evaluation of NGO-run shelters’ performance is difficult: little information is available as to their number and they rarely advertise the scope and types of their services on websites or in social media. However, both Antonova and Davtyan agree that NGOs play a critical role in offering assistance to domestic violence victims. However, these NGOs struggle with financing their work. In 2015, only two Russian NGOs received government funding of some 5 million roubles, or 0.12% of the total amount of Russian government grants to NGOs, to provide legal assistance to women victims of domestic violence; another ten organisations dealing with the problem indirectly were also awarded. Since government funding is insufficient or lacking, private donations and foreign grants have been the main sources of funding for women’s NGOs in Russia. According to the ANNA National Centre for the Prevention of Violence, foreign grants account for approximately 80% of all funding available to women’s NGOs, making them an easy target for the ‘foreign agents’ law. One out of every ten NGOs in the ‘foreign agents’ registry are women’s organisations13Russian Ministry of Justice web portal: Registry of NGOs performing the functions of a foreign agent http://unro.minjust.ru/NKOForeignAgent.aspx, and some of them have been forced into dissolution, since the ‘foreign agent’ label can make it extremely difficult for such groups to raise public funding or engage with government agencies. And finally, perhaps the greatest challenge, according Antonova, is to overcome the sexist stereotypes and patriarchal tendencies in Russian society. Many victims of violence are not aware of what is really going on and deny the gravity of their injuries; they may not be willing to seek help or know where to go, while the police and social services often perceive domestic violence as a private problem. The key argument of legislators opposing the adoption of a separate law on domestic violence is that it is excessive. According to their logic, there is no need to focus too much on whether violence occurs at home or in the street. As long as it is violence, the victim is entitled to protection. They refuse to admit that the current system simply does not work.